Start Your Vehicle Search Today! 6 Ways to Improve Your Credit Score Today! 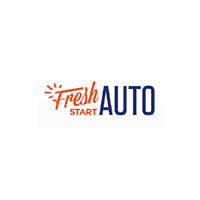 Visit Fresh Start Auto Today! Welcome to Fresh Start Auto! At our dealership, we strive to give you both exceptional prices and exceptional customer service. We have a large inventory of pre-owned vehicles available. We invite you to browse our inventory, search for your quality used vehicle, and send a request for a quote. If you have any questions about any of the vehicles on our site, shoot us a message or give us a call and we will always work hard to respond to any and all of your questions as quickly as possible.Located at 21399 Telegraph Rd, Southfield, MI 48034 we are proud to service all of Metro Detroit and Southeastern Michigan, including Oakland, Wayne, and Macomb Counties!